For sale: Rain barrels made out of recycled plastic drums. Conserve water and save money - great for the environment and your wallet! Estimated capacity = 55 gallons. Place an order by visiting www.nhcoast.org today or call Dave at 603-617-0679. Free pickup - delivery quotes available based upon location. 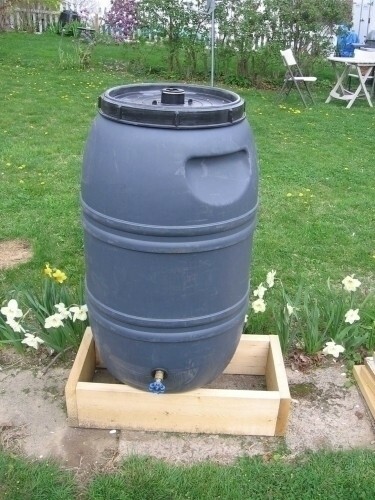 Rain barrels are made locally by the New Hampshire Coastal Protection Partnership. We are a 501(c)(3) nonprofit organization based out of Portsmouth, NH. The money we raise through our rain barrel sales go towards programs designed to reduce water pollution in the Great Bay Estuary. Visit www.nhcoast.org for more information.